Love your black & white postcard, Anne! Brilliant card I love your take on the theme! 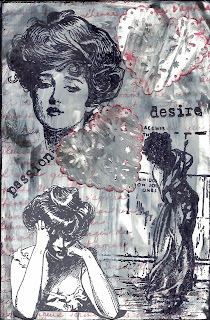 Interesting take on the theme--another side of the Gibson Girl mystique. I love the images you have chosen and the great background with tiny touches of red. Wonderful work.